For those times when you simply can't decide which sweet to buy. 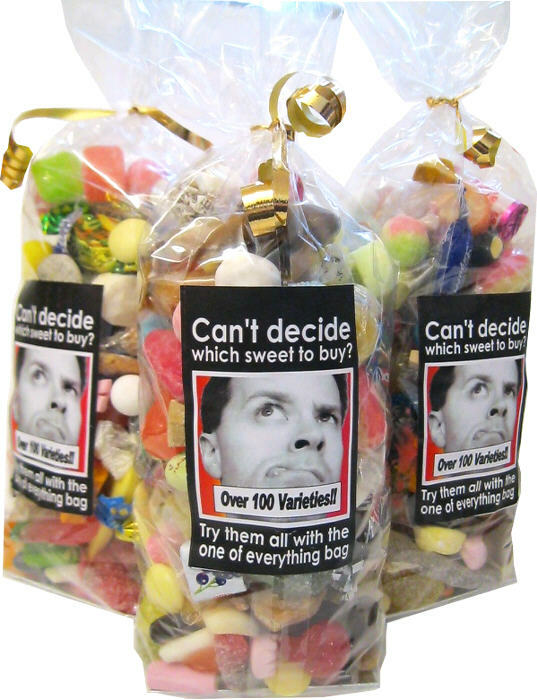 Our one of everything bag weighs over 600g and is filled with one sweet from each variety of our weigh out sweets. That's well over 100 sweets...from Alphabet letters to Yorkshire MIxture and everything else in between! A fun gift for a sweetie lover or a perfect treat for your own tastebuds.